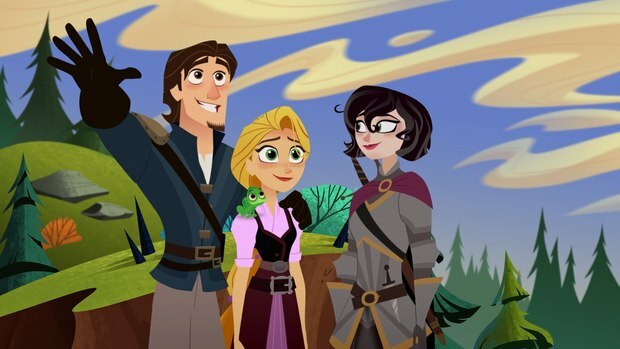 This week, I'm going to talk about different types of princesses, beginning with digital ones. I am no expert on video games, but princesses have been a big part of them ever since the NES era of the 1980s. They have become a staple of the ever evolving technology. The two most famous video game princesses are Zelda from The Legend of Zelda, a series that began in 1986, and Peach, who evolved from Princess Toadstool in the Super Mario Bros. series that started 1985. Though they both began as stereotypical blonde princesses in pink dresses who needed to be rescued by the hero of their corresponding game, Peach and Zelda each stand out as very different characters. I would say it's no contest which one of them is the better princess. Even though Zelda began as a damsel in distress, the many incarnations of the series have evolved her into a wise, graceful, and confident leader. In many ways, she is no more of a damsel in distress than Princess Leia is from Star Wars. Both get captured by their kingdom's nemesis, and both recognize when it's time to ask for help, instinctively knowing which hero to call upon for the task. Zelda has gone through a lot of changes leading up to the newest Legend of Zelda game, Breath of the Wild. I unfortunately cannot say that I have played many of them. However, I loved the way she was portrayed in the game I did play, Ocarina of Time, from 1998. Though she needed Link's help to save her kingdom of Hyrule, she was right there fighting beside him in her secret disguise as Sheik, making her every bit as brave a hero as Link. 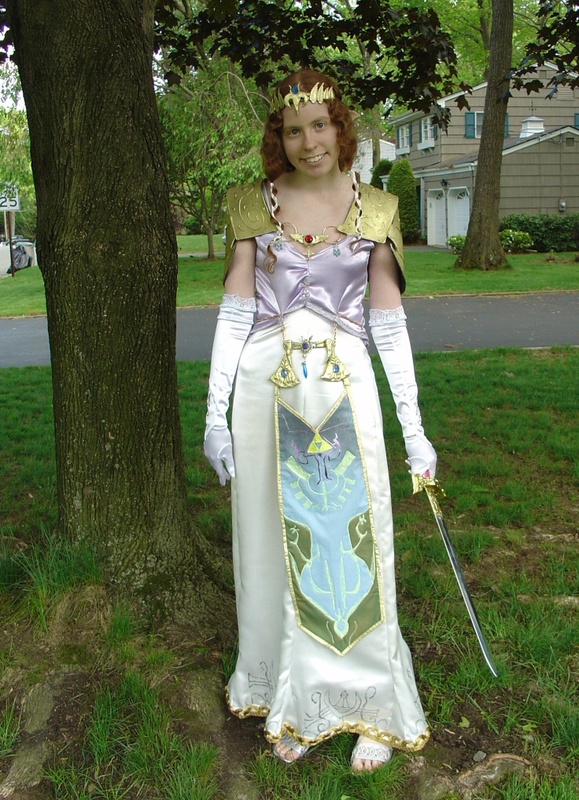 She also represented the Triforce of Wisdom, proving that she was much more than just a pretty face. 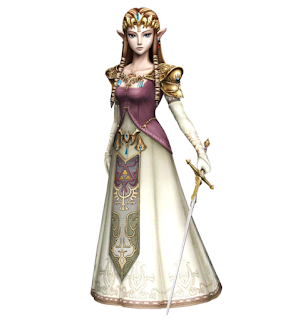 The picture above is from her design in Twilight Princess from 2006, which contains my absolute favorite design for her. 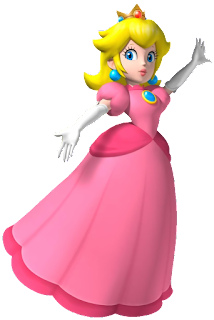 In that game, her pink signature color was replaced with a more regal purple, separating her from the far less capable Princess Peach. She still has her signature Hyrule flag emblem on her skirt, but she is also clad in a sword and shoulder armor, showing that she is not above joining the battle to save her kingdom. I'm guilty of cosplaying this version of her costume without ever having completed the game. Next to Zelda, Princess Peach looks like a whiny little brat. She has never amounted to anything other than a damsel in distress, forcing Mario to jump from one dangerous castle to another in an attempt to find her. The cartoony tone of the Mario series, which never takes itself seriously, might be to blame for this. All of the characters in the game are as flat as cardboard. They even released a self-aware Paper Mario game in 2000. Princess Peach did star in her own game in 2005, called Super Princess Peach. Though I've had no interest in playing it personally, the game did not turn Peach into a stronger character from what I've read, despite the role reversal of her having to rescue Mario. She fights by whacking enemies with her umbrella and uses her emotions as superpowers. 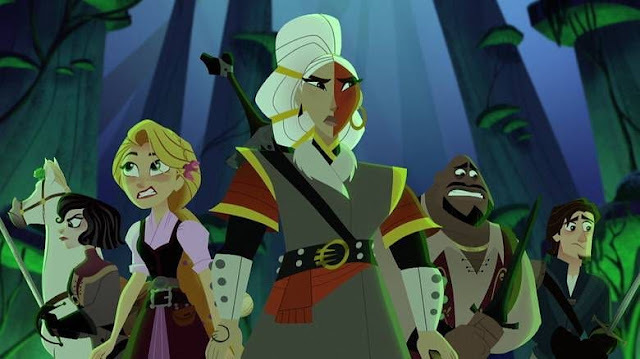 This is actually the opposite of what the new warrior princess era portrays, which tries to prove that princesses's emotions don't have to get in the way of their ability to protect their kingdom. She doesn't have enough unique magical attacks in the game to be considered a magical girl either. Still, it's nice that they gave her a chance play the hero for a change. Mario and Luigi's characters do not have a lot of depth, so Peach's weaknesses are more victim to the series itself than its treatment of women or princesses. I guess I should also mention that there is another princess in the series named Daisy who may or may not be related to Peach, but she's basically just the same character in a yellow dress and brown hair. For some reason, it was Daisy, and not Peach, who was featured in the awful live-action Mario movie from 1993. Perhaps they knew how bad it was and wanted to preserve the character. As far as my tastes in gaming, I am a huge fan of the Final Fantasy series. My favorite video game princess is not as well-known or as the iconic as Zelda or Peach. 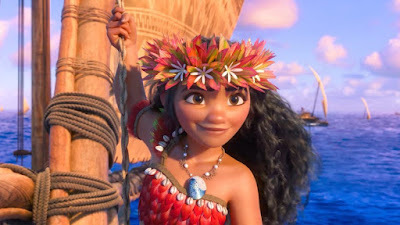 She is a princess in honorary title only, like Mulan or Xena. Her name is Rinoa Heartilly from Final Fantasy VIII. I played the PC version of the game around the time it came out in 1999. Her blue duster that flowed behind her when she moved with its angel wing motif was lovely and gave her an ethereal quality when she moved. I was inspired by Rinoa's bravery in asking the main character, Squall, to dance, despite his reluctance. She was also fearless in starting a resistance faction against her powerful father called the Timber Owls. It was her role as the leader of this faction that granted her the honorary title of "princess." Her character meant so much to me that I recreated her first dance with Squall with my husband at my wedding earlier this year. The following game in the series, Final Fantasy IX, introduced a more traditional princess named Garnet, who was every bit as dimensional a character as Rinoa. In 2002, Squaresoft, the company behind the Final Fantasy series, partnered with Disney to create Kingdom Hearts, an almalgation of both companies' works. 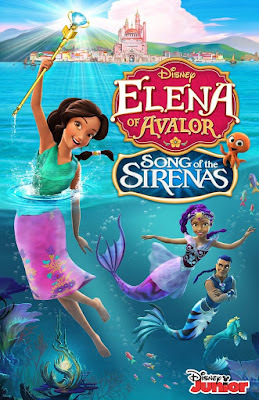 This game gave the Disney Princesses a big role as the Princesses of Heart. They were the only ones with hearts pure enough to open the door to darkness so Maleficent could complete her wicked plans. 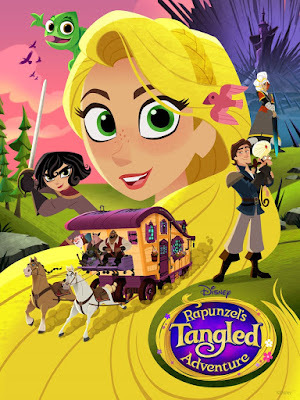 Unfortunately, this pushed the modernization of the Disney Princesses back a few years, forcing them to get kidnapped just like Peach and held as lifeless vessels in glass tubes until the main character, Sora, rescued them. The game tried to make up for them by having the princesses team up afterward and say that they wanted to help, but little became of this. It also introduced a new Princess of Heart in Kairi, a bubbly red-headed little girl who used to play with Sora on the Destiny Islands. At the end of Kingdom Hearts II, Kairi was revealed to have a flowery keyblade, the weapon of choice in the game, that she wanted to use to help Sora fight evil, but she was never actually shown using it. 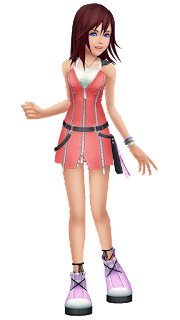 Perhaps she will return as a more capable princess in the highly anticipated Kingdom Hearts III. The Kingdom Hearts series is far more challenging and enjoyable than any game Disney has released that allows you to play as a princess or princess-like character. I am sad to say that found the multi-platform Disney Princess Enchanted Journey game from 2007 thoroughly unsatisfying. Perhaps they buy into the unhealthy stigma that girls don't play video games. 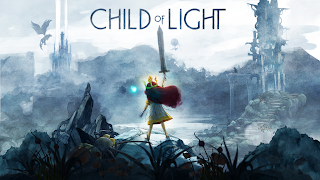 If you are looking for a challenging game that allows you to play as a brave princess in a fantasy world, look no further than Ubisoft's Child of Light. Released in 2014, Child of Light lets you play as Princess Aurora (no, not that one), a girl from an 1895 Austria, who one day mysteriously wakes up in a fantastical realm called Lemuria. There, she meets a firefly named Igniculus, who is very similar to Navi from the Zelda games. Early in the game, Aurora gains wings and becomes a faery-like creature, allowing the player to explore the skies of Lemuria. It's one of the very few games I've played that allows me to virtually experience what it would be like to be a faery princess. I loved every second of it. 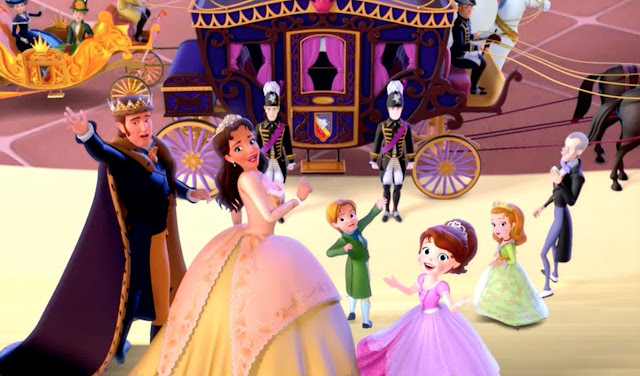 The creators have said that they wanted it to feel like the opposite of "Sleeping Beauty," with a princess who takes charge and defeats her own dragons. Aurora has beautiful flowing red hair similar to Ariel's that glows with Igniculus, who the player also controls, flies through it. The biggest criticism for Child of Light is that all of the dialogue is told in poetry. If you're not bothered by everyone rhyming each word they say, I highly recommend playing this game. Also, if you're into fairy tale poetry, check out my book, Castle (and other poems about growing up in a fairy tale world), that I wrote in 2009. 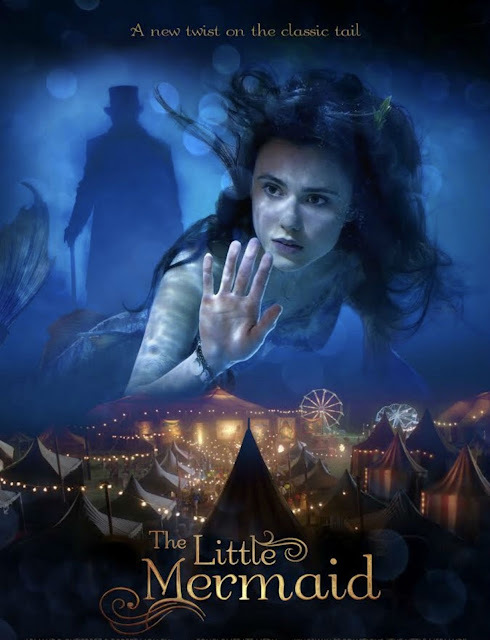 In today's every-changing world, technology has brought us new forms of media and new ways to tell fantasy stories stories. Princesses have been a staple of video game worlds since the beginning, waiting to be rescued at the end of the game. 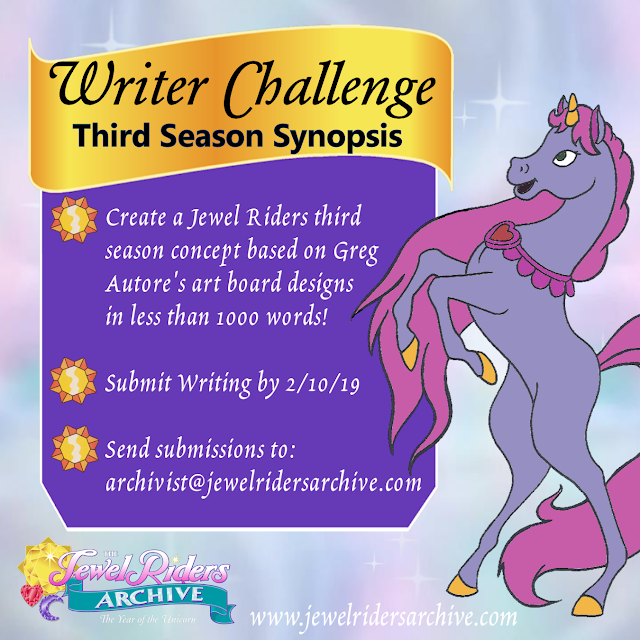 They have evolved beyond that role and are slowing becoming the heroes, allowing us to virtually experience our fantasies of magic, adventure, and romance more easily than ever. I'm not a video game expert, though! I was introduced to world of gaming embarrassingly late in life. This post was mainly about the most famous video game princesses with a few of my favorites peppered in. I believe I've heard of Kings Quest, but I can't recall whether or not I actually played some of it.